The Apera 5052 Saltwater Salinity Tester is designed for easy and reliable salinity measurements for aquariums, aquaculture, and environmental monitoring. 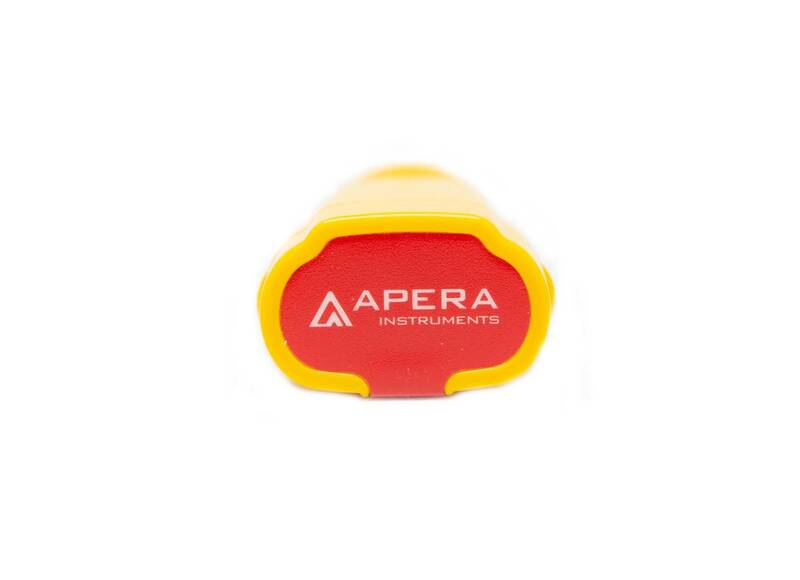 Apera’s unique platinum-coated sensor with automatic temperature compensation (ATC) ensures accuracy and precision of the measuring results in a wide range –an accuracy of ±1.5% of full range in 0 to 100 ppt (=100,000 ppm). The dip-and-test is the easiest way to get reliable saltwater salinity readings (vs. hydrometers and refractometers). Sampling test is not required. 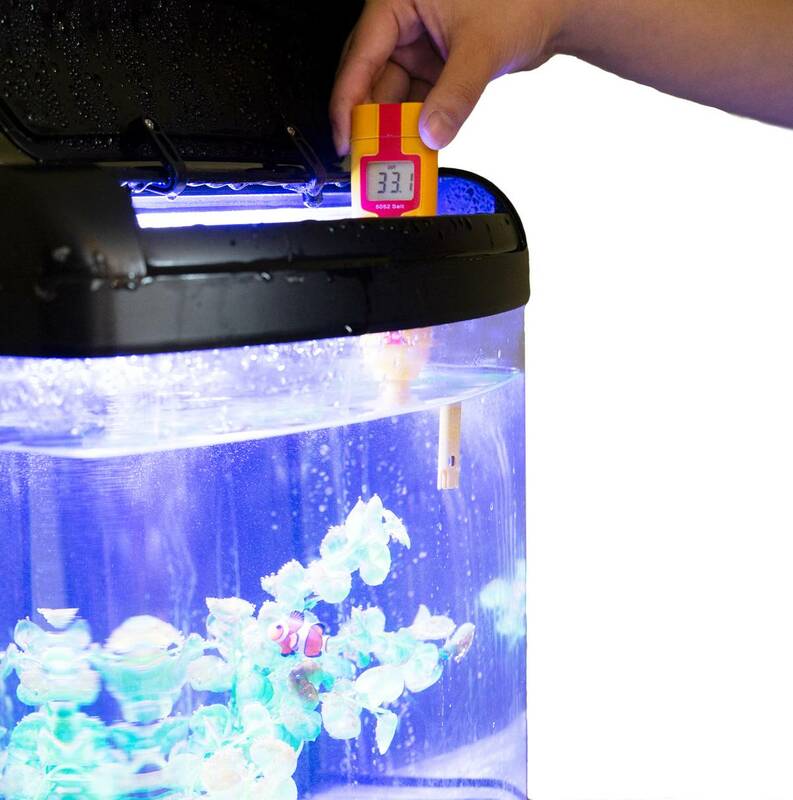 Simply dip the meter into saltwater and get stable readings in 10 seconds. No need for rinsing between each test. Say goodbye to frequent calibration. Calibrating the meter once every month will give you reliable results. 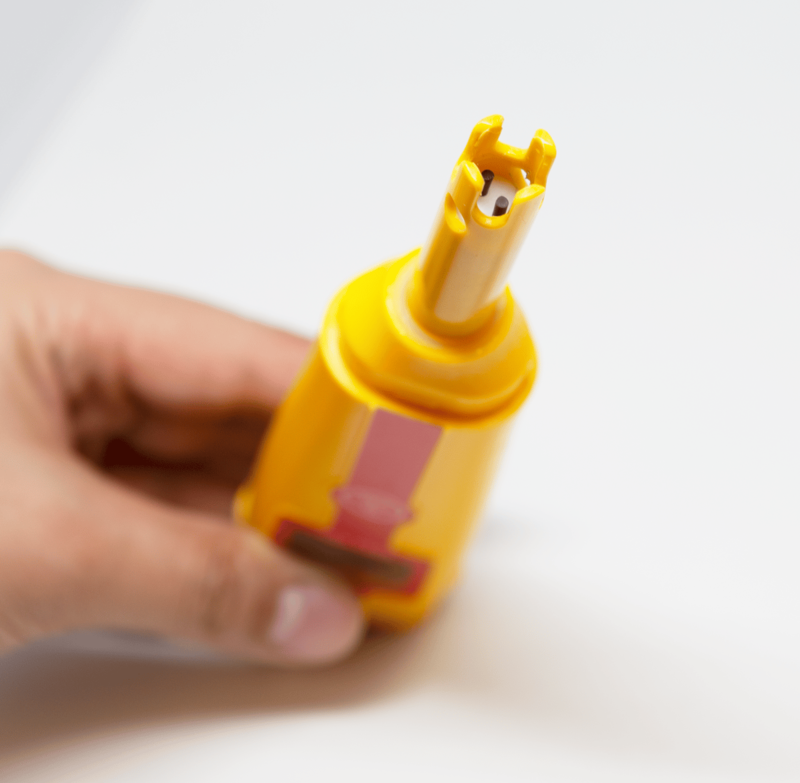 The calibration solution is included in the kit. The meter is designed with a single-button operation powered by 2*AAA batteries. Auto. Power-off and low-battery reminder functions are available. 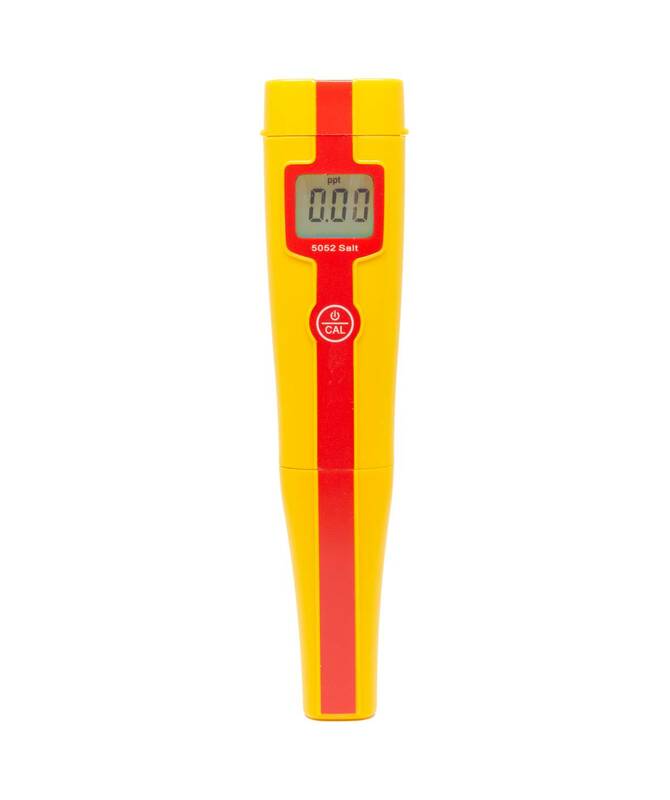 Comes with a complete kit including the 5052 tester, 2 AAA Alkaline batteries, 50 MS/cm calibration solution, and a carrying case. 2-year warranty with the instrument and 6-month warranty with the sensor. Note: The Apera 5052 tester measures practical salinity (NOT absolute salinity) converted from conductivity using The Practical Salinity Scale 1978 (PSS-78) and is standardized against the Normal Standard Seawater (S=35), which is accurately calibrated in conductivity ratio (K15). The PSS-78 is recommended by all oceanographic organizations as the scale in which to report salinity data.